The touch screen technology, the latest and the most sophisticated in the recent technologies works with the feel of your finger. With the swipe of your finger, you can easily make call to your loved one, comment on your friend’s Facebook post or read any business email. But, at times it happens that your phone starts ringing while you are having dinner and you have to swipe that oil saturated finger on the screen of your phone. Such things leave your phone oily and sticky, only getting worse with the accumulation of dirt on the screen. In the worst cases, the extreme damage can make the screen unresponsive, thus, it is preferable to clean your phone from time to time. Not just the regular cleaning, you can also take the following steps to keep your phone shining and bright. As soon as, these phones were introduced in the market, there was an influx of the covers and casing as well. Manufacturers, upon knowing the worth of the Smartphones, have brought in a range of designs, types and materials for the covers. Even though the basic function of these covers is to protect the phone, they have actually become a fashion trend in the youth. Since, the new phones do not have the option to change the front or back cover, this need is fulfilled by the casings and one can change the outer cases as frequently as wanted. What usually happens is that we put the phone on the dirty table, a bench or anywhere like this while we have to work on something. To avoid this problem, you can wear an iphone 5 armband, when you are going to work out or you are going on a field trip. The unrefined surfaces leave you’re your phone severely scratched, so it is always better to avoid them. There exists a section of people in this world that buys a phone, but does not know to properly use the phone. For them, it’s not more than just a toy. But if you want to use you phone for longer time, then you need to keep your phone clean and you will use it very carefully. 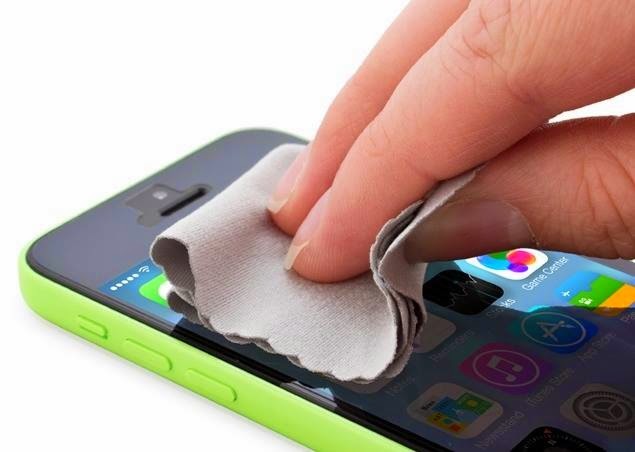 Wash your iPhone 5 armband every week or even more frequently and you must also clean your phone’s screen with a glass cleaner or phone cleaner liquid that is available in the market. Spending almost around $700-800 makes it quite an expensive belonging; however maintenance only requires 5 minutes of your day. That’s it dear readers. I hope you learned something good from our today’s post and this was a useful post for you in order to keep your mobile phone clean and don’t let it get damaged while you’re working, eating or doing something else. Also please do share this post with your friends and let they also take care of their phone.